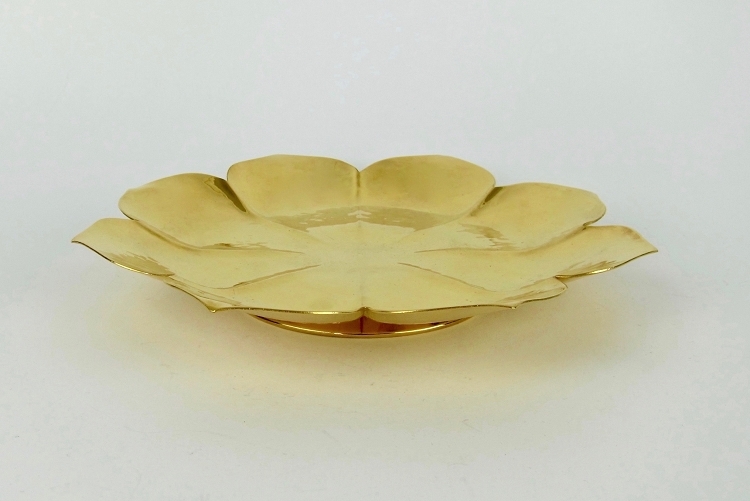 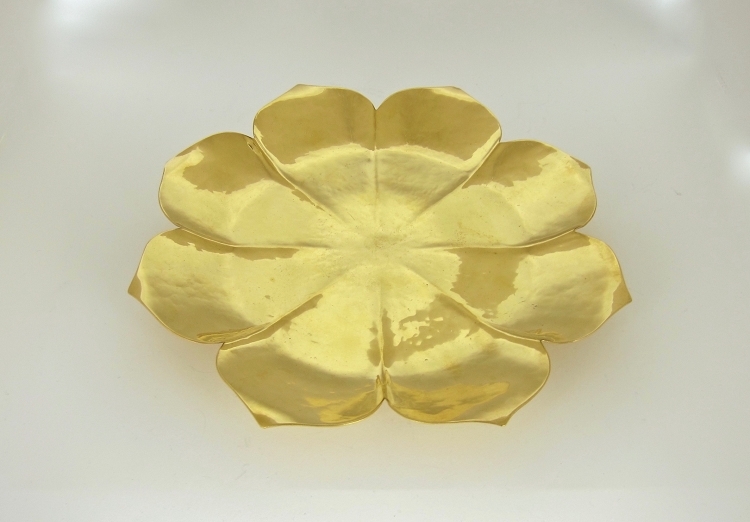 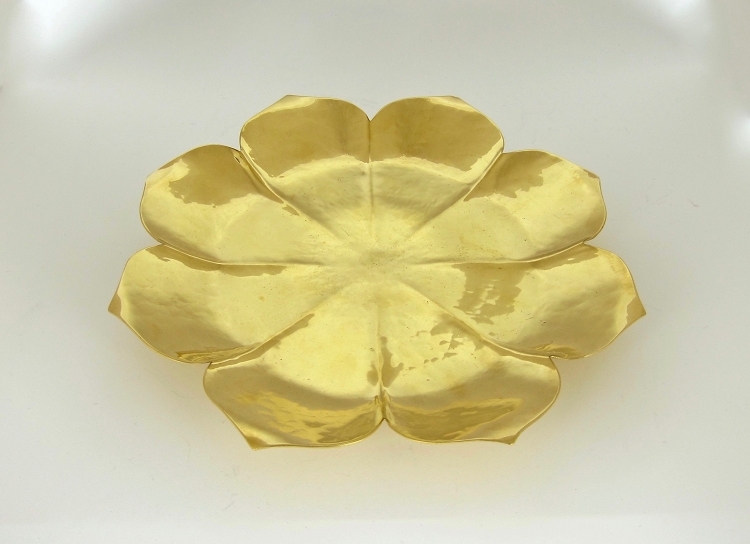 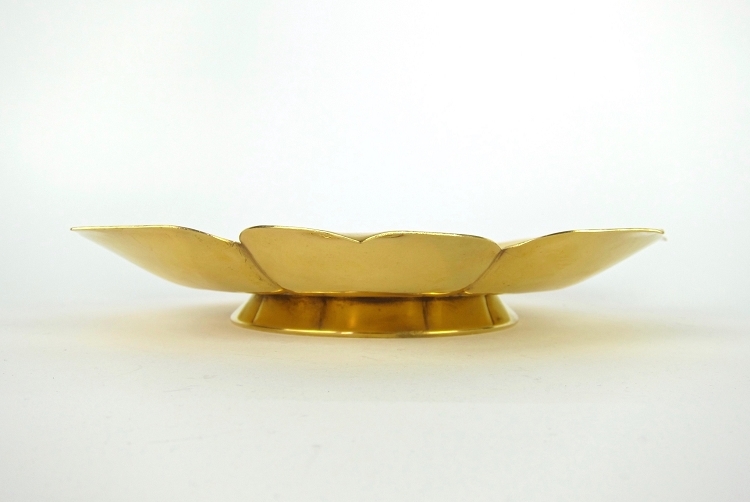 An Art Deco gilded and fluted "Lotus" dish on a ring foot by noted American metalsmith, Marie Zimmermann (1879-1972). 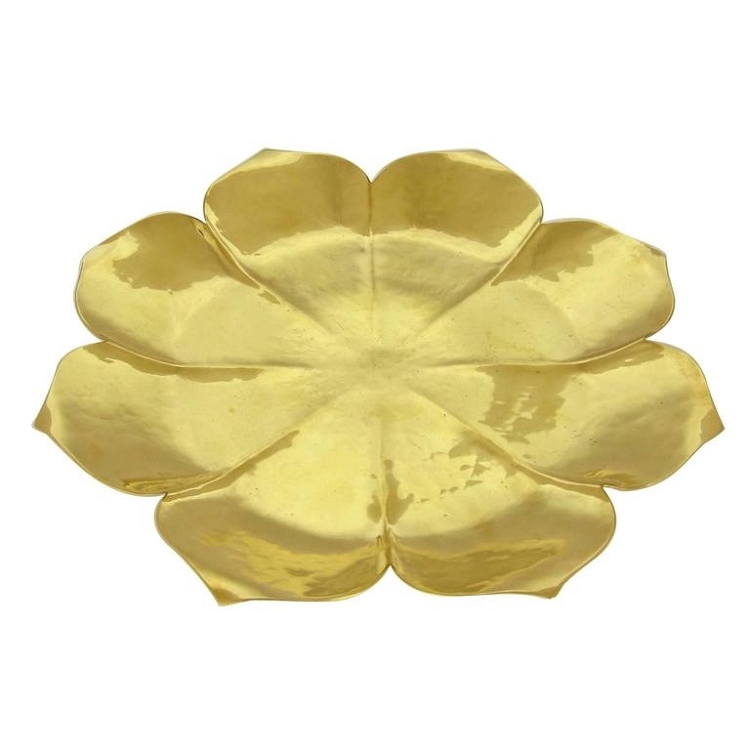 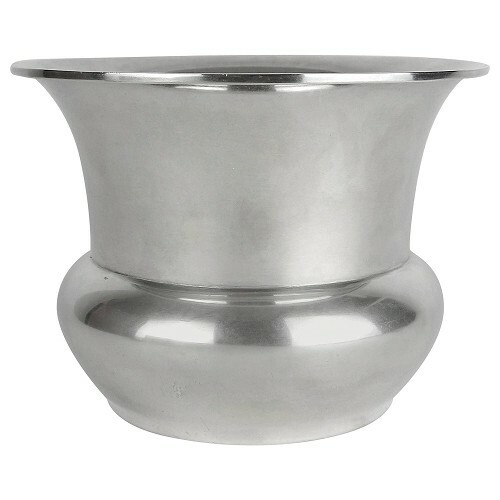 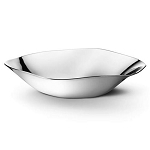 Designed as an abstracted lotus blossom composed of eight petals with pointed tips, the footed dish comes directly from the artist's estate. 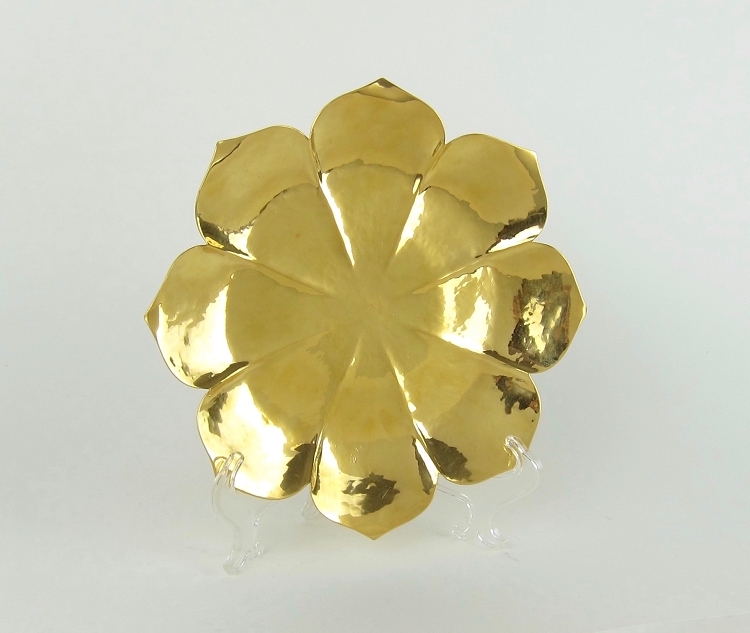 Zimmermann's ability to interpret historical design sources for a modern audience is particularly evident in this pointed-petal form which resembles designs used during the Chinese T'ang Dynasty (618-906 CE). 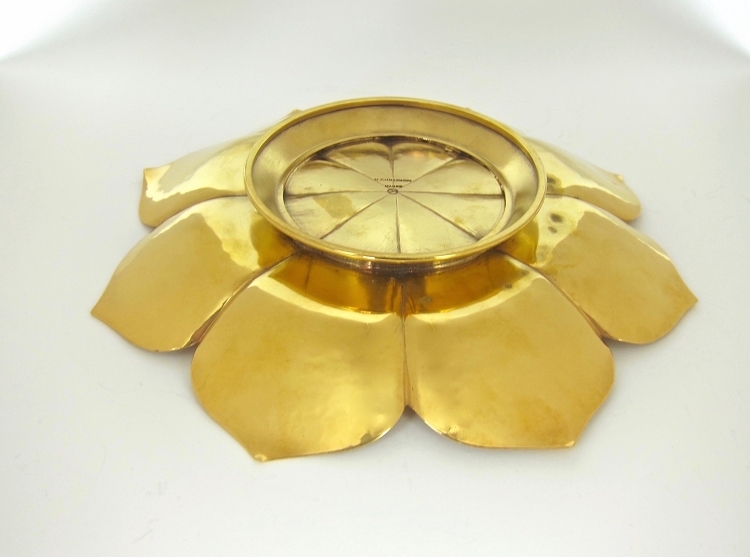 Two additional examples of Zimmermann's gilded and fluted floriform designs for a dish and bowl are illustrated on page 290 in The Jewelry and Metalwork of Marie Zimmermann, 2011. 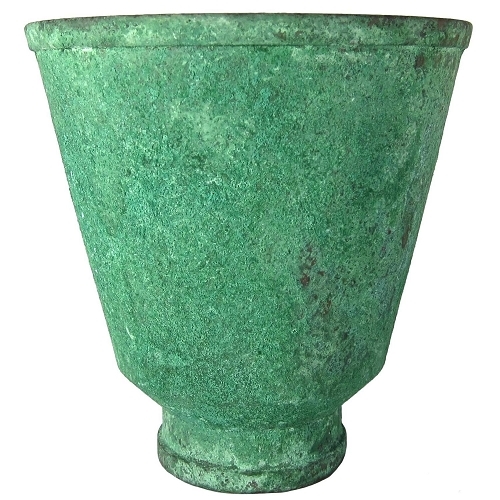 The bronze/copper tazza is in good, original condition with a bright gold surface; the underside has several spots around the foot where the base metal is just beginning to show through the gilding. 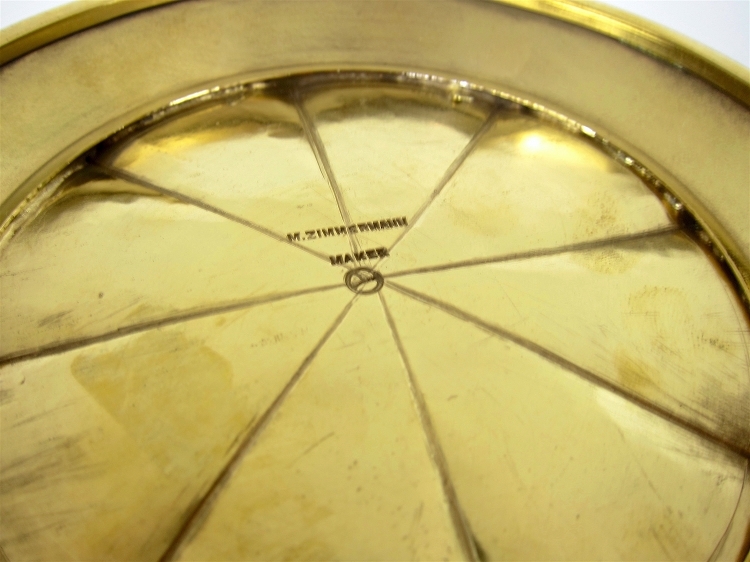 Fully marked underfoot: M. ZIMMERMANN / MAKER over her MZ cipher; measuring 9.5 in. 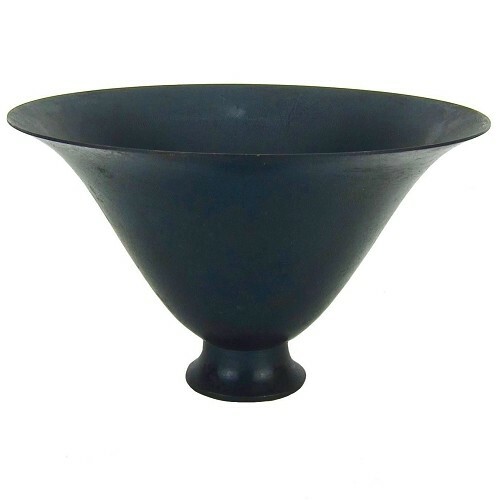 Diameter.